Egmont has over 30 years of experience in sales and marketing of medical devices in Europe, Middle East and Africa (EMEA). 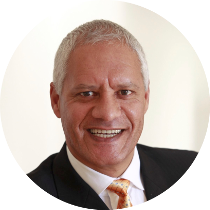 He currently serves as CEO of two Cape Town-based companies: Wondermed, which manufactures a complete wound management system; and Quorus Biotech, that manufactures a bioprocessing platform for cultivating specialised cell lines. Prior to these appointments, Egmont spent 12 years as Vice President for three medical device companies in Europe: Stryker, a world leader in reconstructive surgery; Cochlear, a manufacturer of implants for people with profound hearing loss; and Synthes, that offers the most comprehensive portfolio of orthopaedic and neuro products. In this last position, he was responsible for sales of over a billion dollars prior to the acquisition of Synthes by Johnson & Johnson. Kalvenie is currently employed by the Industrial Development Corporation (IDC) as an Industry Champion where she is responsible for investments in private equity funds as well as negotiations with investors. She has been with the IDC for 12 years where her other roles have included working as a Fund Manager and as an Industry Analyst. Prior to that Kalvenie served as Assistant Director with the Department of Trade & Industry where she participated in negotiations on the Free Trade Agreement with the European Union. Her qualifications include honours degrees in chemistry (Natal) and commerce (UNISA), as well as a Master’s degree in Business Leadership (UNISA). 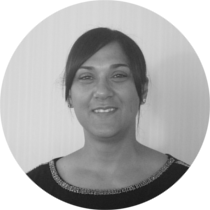 Tessa is Associate Professor of Accounting at the University of Cape Town and also serves as Deputy Dean in the Faculty of Commerce with responsibility for the academic portfolio. She has a BSc in applied mathematics, a Post-Graduate Diploma in Accounting and is a Chartered Accountant (CA). 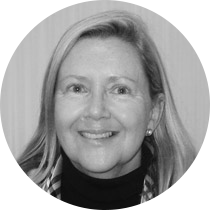 Tessa served her articles with Arthur Young & Company, and also worked as an Investment Analyst for Old Mutual. Her research interest is focused on the effectiveness of information systems and their impact on corporate governance and risk management. Tessa currently plays an active role in the continuing professional education of the South African Institute of Chartered Accountants. Ashley Francis currently serves as Executive Director of Finance at UCT. His career spans auditing, manufacturing, real estate, renewable energy and consulting – all in senior financial roles. He completed a five-year period of articles after school and the following years were spent in the fishing industry in various financial positions, including management accountant and financial manager. Ashley joined the V&A Waterfront group as chief financial executive in January 2001 where he played a pivotal role in finalising the sale of the group. In October 2005, he formed Biotech Fuels (Pty) Ltd, a company producing wood pellets from waste material for export to be used to generate electricity as an alternative to coal. 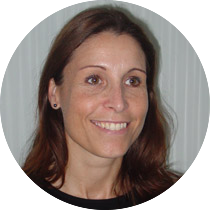 Ashley, who has a BCompt (Hons) and CA(SA), serves on the board of the Sports Science Institute of South Africa and medical device manufacturer, Strait Access Technologies (Pty) Ltd.
Tania is Professor of Biomedical Engineering at the University of Cape Town (UCT) and one of South Africa’s foremost researchers in medical imaging. She is Director of the Medical Imaging Research Unit at UCT, which is funded by the Medical Research Council and currently supports more than 40 graduate students. Tania has completed research fellowships in image processing at the Japan Broadcasting Corporation in Tokyo and the Max Planck Institute for Neurological Research in Cologne. 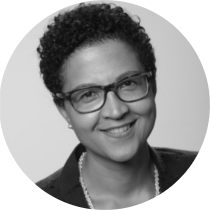 Tania’s qualifications include a BSc in electronic engineering (UCT), a master’s degree in biomedical engineering (Vanderbilt), a PhD in bioengineering (Strathclyde) and an executive MBA (UCT). She is a Fellow of the South African Academy of Engineering. 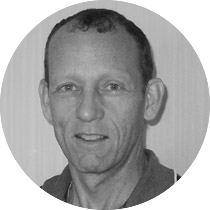 Kit’s experience over the past three decades includes a post-doctoral fellowship in orthopaedic engineering at Oxford University, a tenured professorship at the University of Virginia, and 14 years as the Hyman Goldberg Chair in Biomedical Engineering at the University of Cape Town (UCT). During this latter period he helped to pioneer the medical device industry in South Africa, contributing to Disa Vascular, Acorn Technologies, Lodox Systems, and the Leatt Corporation. Kit is a Fellow of the International Academy for Medical and Biological Engineering, and his qualifications include a BSc (Honours) in applied mathematics and physics (Rhodes), a PhD in musculoskeletal biomechanics (Iowa) and a DSc (Med) in biomedical engineering (UCT). Natasha brings a wealth of business experience to the company. 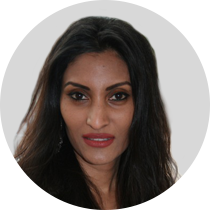 For over ten years she worked as a marketing and recruitment consultant in the recruitment and computer training industry, and ran her own company that manufactured magnets for the educational market. Prior to joining CapeRay she served as a business process coordinator, setting up software systems (accounting, payroll and human resources) for automating a recruitment company, and as an operations manager where she was responsible for finance and administration. Natasha qualified with a higher diploma in art education from the College of Education in Cape Town. Roland earned a BSc degree in Electrical Engineering from the University of the Witwatersrand in 2002. Thereafter, he worked as an electrical engineer, first in the petrochemical industry for Fluor, where he was involved in the design and commissioning of electrical equipment for a refinery, and then for a building services company in London where he was responsible for electrical infrastructure projects. 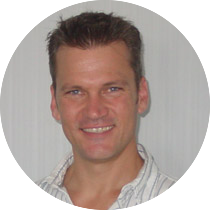 Roland earned a master’s degree in Biomedical Engineering at UCT, with a focus on medical imaging. 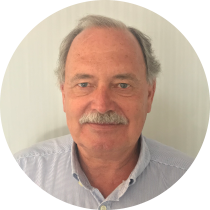 At CapeRay he has been responsible for customer relations, design specifications, evaluation of clinical imaging data and system testing. He currently serves as engineering manager, responsible for driving the Aceso project. James graduated from the University of Cape Town in 2008 with a first class honours degree in mechanical engineering. His prior experience included a period with Hatch Africa where he was involved with specification for contractor tendering and the installation of gas engines. James was subsequently employed as an engineer by Reitech SA, where he integrated new machines and conveyors, and did 3D modelling, sheet metal design and factory layout. At Unique Hydra, a manufacturer of offshore diving equipment, he designed a damping mechanism for a hyperbaric chamber door and performed fatigue calculations for dive cage recovery units. 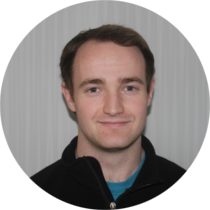 Since joining CapeRay, James has been responsible for mechanical engineering design and testing. 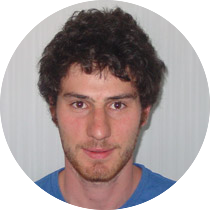 Brad graduated from the University of Cape Town (UCT in 2015 with an honours degree in electrical and computer engineering and has recently earned an MSc in radar engineering at UCT for a thesis entitled “Automatic Generation of a Floor Plan from a 3D Scanned Model” in which he used a colour depth sensor and a custom-designed algorithm. 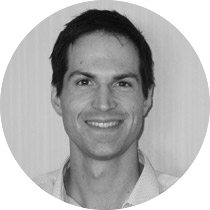 Brad has a special interest in both embedded electronics and software development. At CapeRay, he has been responsible for preparing Aceso for in-the-field operation, while he has also improved the co-registration of our X-ray and ultrasound images and contributed to the design and implementation of AcesoFusion in conjunction with our Italian partner, NeoLogica. Murray graduated from the University of Cape Town in 2016 with a BSc (Eng) degree in mechatronics engineering. During his studies he completed internships at Airbourne Drones, where he was involved in the manufacture of small unmanned air vehicles, and at Jamdonut Creative Technologies, where he built prototypes for proximity detection and computer vision. After graduation Murray worked as a mechatronics engineer for Edro, an edtech business that specializes in educational robotics. His most recent position was as electronics engineer for ET Systems, a company that specialises in the design and manufacture of electronic security equipment. At CapeRay, Murray has responsibility for Aceso’s electronics, including ultrasound. Lindsay graduated with a National Diploma in Human Resources Management from the Cape Peninsula University of Technology in 2005. Her first position after graduation was with the printing firm Ince, where she served as an HR intern and administrator. Lindsay subsequently spent ten years with the insurance company Metropolitan Health, serving first as training coordinator and then as a coordinator for organisational development. Most recently she has worked part-time as the practice manager for Skylark, registered accountants and tax practitioners. At CapeRay, Lindsay assists with the company’s administrative, financial and HR activities. Brian is a biomedical engineer with substantial experience in developing electro-medical products. He has experience in securing CE marking for medical products developed in South Africa. Brian worked for the Technology Innovation Agency and played a leading role in growing the medical device industry in South Africa. He assisted CapeRay to secure the CE Mark for the Pandia in 2012 and is currently contributing to regulatory affairs and risk management for the Aceso. He consults to companies around the world through his association with Emergo, a global medical device regulatory consultancy. 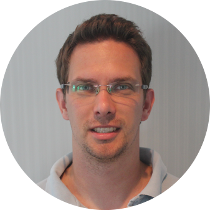 Brian has a BSc in Electrical Engineering from Wits University and an MSc in Biomedical Engineering from UCT. 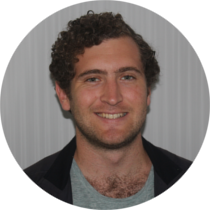 Mike has a BSc degree in electro-mechanical engineering from UCT where, for his final year project, he designed and built a pair of robotic arms for use in a hazardous environment. For the past 16 years he has gained significant multinational experience in mechanical, electronic and software development. In the UK he worked for Symbian Software Ltd, T-Mobile International and Visto Software Ltd, delivering advanced products in the field of telecommunications. 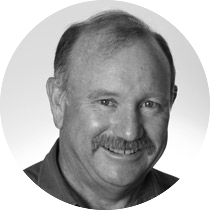 Prior to joining CapeRay, Mike worked closely with two South African companies, GeoAxon and Southern Implants, in the development, testing, documentation and certification of their medical devices. Raphael has an MSc (Med) degree in biomedical engineering from UCT, and a BSc (Eng) degree in aeronautical engineering from the University of the Witwatersrand. His work experience includes the serving as a consultant to Strait Access Technologies for whom he designed a 3D printed heart valve for fatigue testing of infused bovine pericardial tissues. At Wits Raphael served as President of their Baja team, responsible for the design, manufacture and racing of an off-road vehicle. Through his company BMEC Technologies, which he established in 2015, Raph assists with the design, manufacture and testing of our patented dual-modality breast platform.